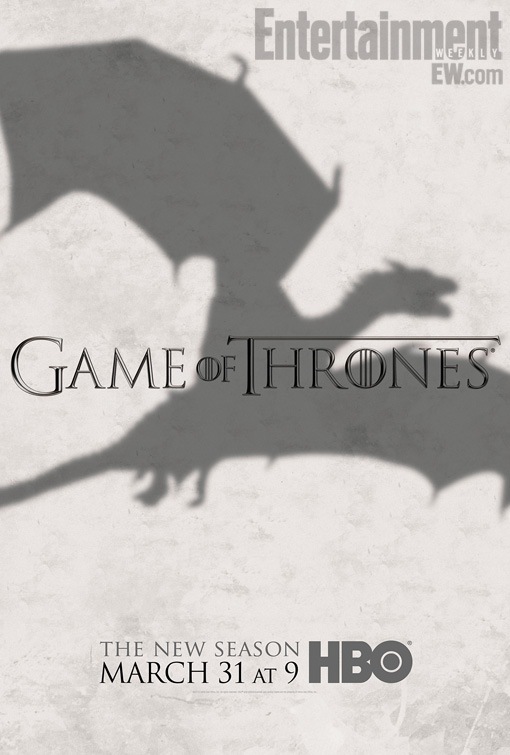 HBO has released a new teaser poster for the upcoming third season of HBO’s “Game of Thrones.” Check it out below, courtesy of EW, and be sure to watch “Jimmy Kimmel Live” tonight for the new trailer (you can check out a tease in the player below)! Season 3 premieres on HBO at 9p.m. on March 31. Based on the novels of George R.R. Martin, the third season is said to adapt events from “A Storm of Swords” and will include quite a few new and returning characters. The cast of season two included Emmy and Golden Globe winner Peter Dinklage, Michelle Fairley, Lena Headey, Emilia Clarke, Nikolaj Coster-Waldau, Aidan Gillen, Iain Glen, Kit Harington, Richard Madden, Maisie Williams, Isaac Hempstead Wright, Sophie Turner, Jack Gleeson and Alfie Allen. The series is executive produced by David Benioff, D.B. Weiss, Carolyn Strauss, Frank Doelger with co-executive producers George R.R. Martin, Vanessa Taylor, Alan Taylor, Guymon Casady, Vince Gerardis and Bernadette Caulfield producing.